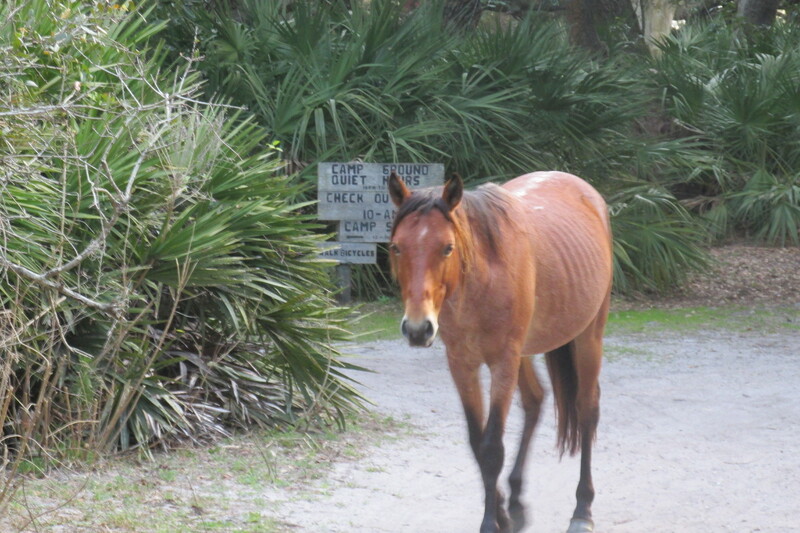 Cumberland Island is known for its wild (or feral) horses, and I’m a horsey gal. Horse in your campground, ma’am? Why sure. 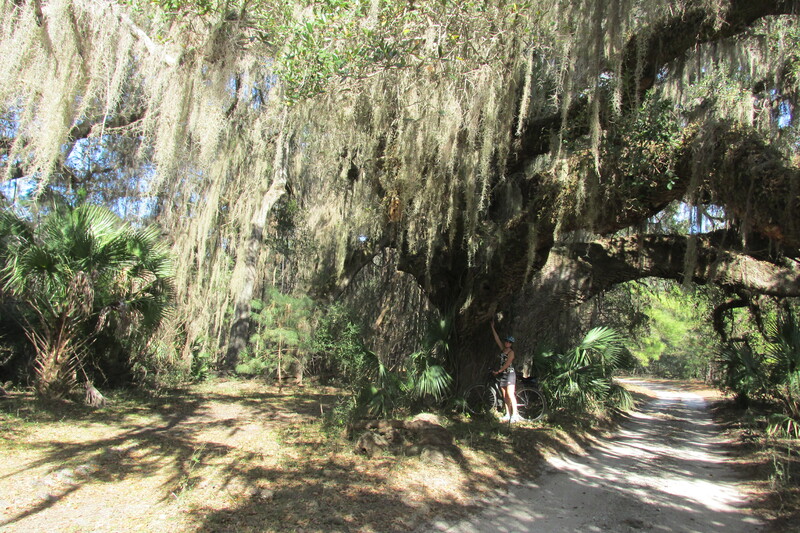 But here’s what really couldn’t drag me away: its Spanish moss. Can anyone tell me WHY this stuff is so entrancing? Seriously. Tell me. I’ve been trying to figure it out. It’s gray. It’s parasitical–or at any rate it gets a free ride from the trees it drapes; we’re not talking any sweet symbiotic relationship here. 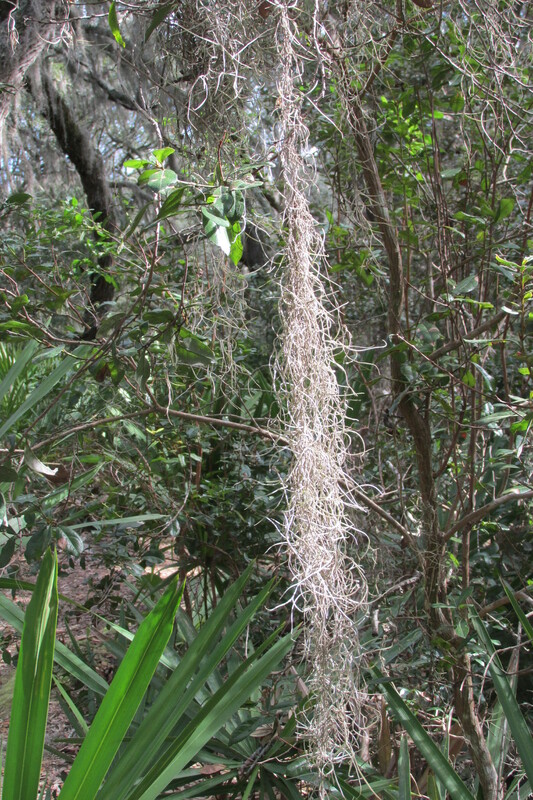 And it’s EVERYWHERE in South Georgia, especially on the barrier islands. It should creep people like me out. Instead, I can’t get enough: fondling it, taking pictures, gazing at it from every angle. In my quest to break down the components of natural beauty, one word kept coming to mind: grace. But what does it mean to call something graceful? OK, the tree ain’t bad either. It undulates. Something about the smoothness of wave action must be inherently awe-inspiring, or comforting, or both. 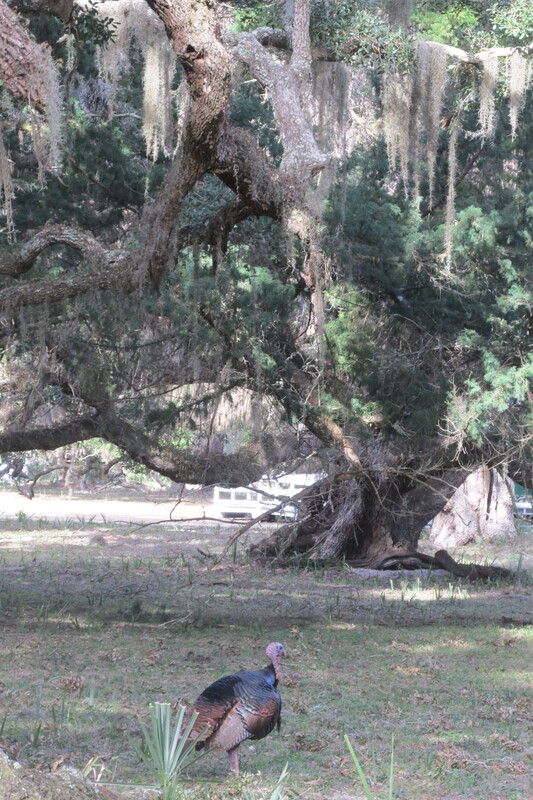 It hangs vertically in a forest of torturous sideways live-oak limbs (seriously, these things grown LITERALLY every which way but up) and herky-jerky pines and saw palmetto, providing a soft set of downward strokes, like Impressionist painting. Or like tinsel strands on a Christmas tree. Also comforting, though I have no idea why. It’s soft, despite looking spiny. Well, OK, I get the appeal of soft. 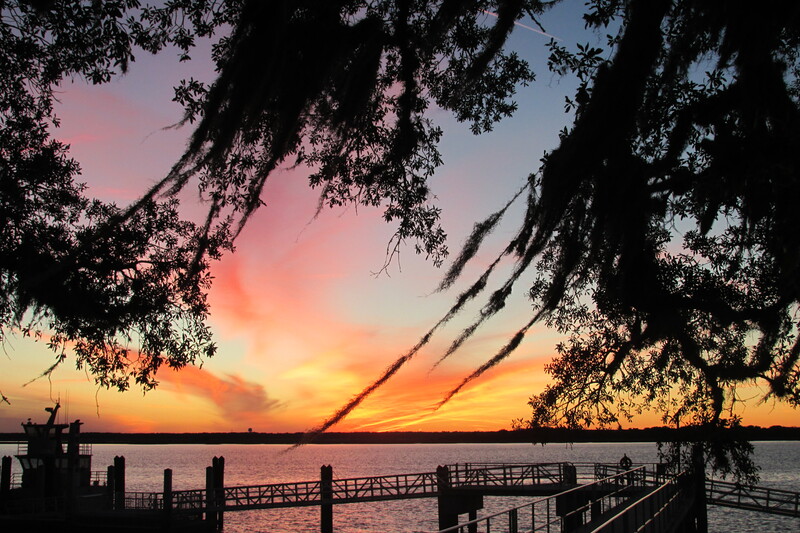 As for connotation–if you read my last post, you know that Southern scenery, even at its finest, is haunted by ugly history. 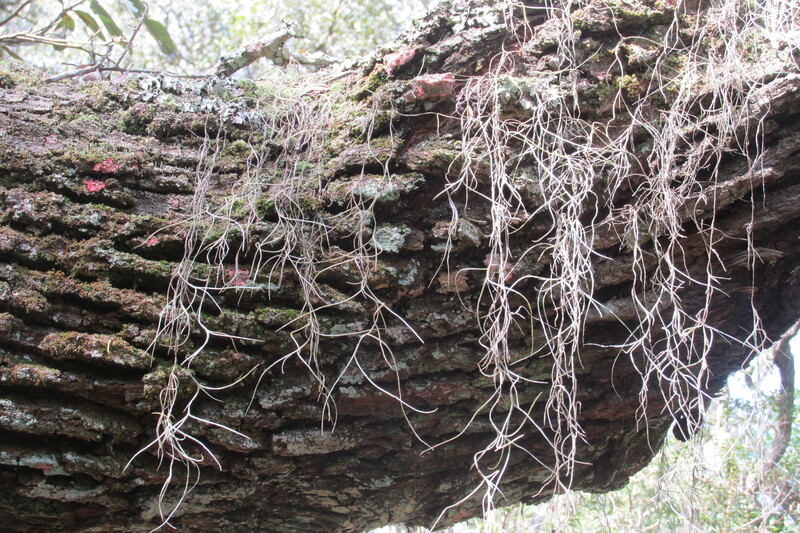 So I would never say Spanish moss’s beauty derives from its context. More the opposite. That’s as far as I’ve gotten here in my quest to understand. What do you think accounts for its beauty? Help me figure this out, y’all. All RIGHT. I’m done. Wing out. 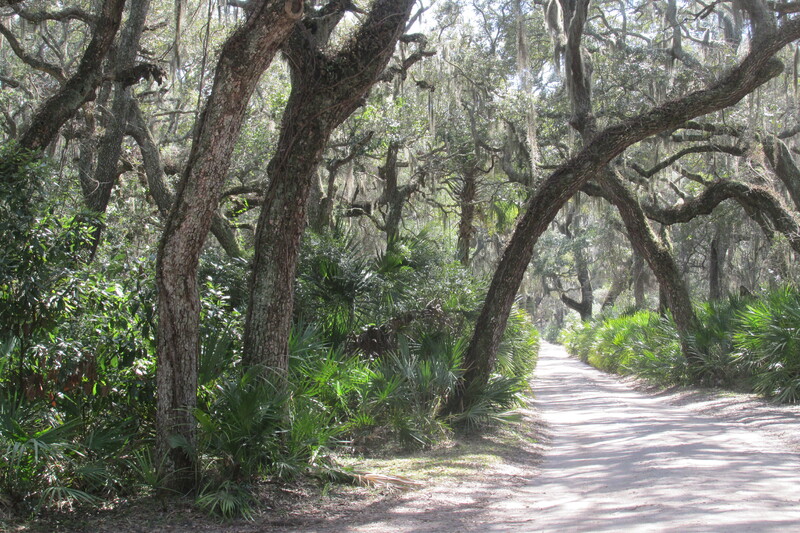 This entry was posted in Wing's Words and tagged camping, Cumberland island, Durham, Georgia, Georgia sea islands, NC, road trip, Southern living, Spanish moss, tarheel, travel blogs, wild horses by gretchenwing. Bookmark the permalink.